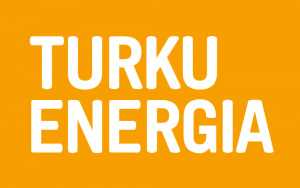 Turku Energia Management group began the search for new ways of operating and building a new cooperation dynamic. According to CEO Timo Honkanen, the goal was not to “fix the sick man, but to further develop and cure the healthy and functioning one”. It was important to our management group to strengthen team spirit and cooperation and search for a new direction for our operations together with the whole group, Honkanen describes. According to Honkanen, the management group development process stemmed from a total change in the operational environment, which challenges and creates pressure to renew the strategy. There had also been recent changes within the management group composition. According to Honkanen, even though team spirit was good as it was, the changes brought on by the new composition and changes in the environment also manifested as a need to do things in a new way. Amid changes, we need the management group to provide fresh ideas for developing business and strategy work. Knowing your own area of responsibility and looking at things from that perspective is not enough. Our management group had to take a birds eye view of Turku Energia, Hokkanen emphasizes. Understanding the big picture and developing business requires cooperation as well as sparring and challenging others. We have adopted this ethos quite well through cooperation development. Our dialogue is now open, challenging and sparring. Issues are handled as issues, and no-one takes offense. You can challenge another person’s ideas and thoughts even when you agree with them. The Turku Energia management group dynamics and ways of speaking were studied using the Dialogue Team survey. It made the quality of management group dialogue and most important strategic goals visible; how issues are discussed and what effects does dialogue have on advancing things and implementing the strategy. It’s important to have fluid dynamics. Issues are not handled just for the sake of handling. They are dealt with in a serious and emotional manner. Despite tensions, you must be able to discuss challenging issues respectfully. The Turku Energia management group noticed that there was a will for advancing collective matters, and that a constructive dialogue is the lifeblood of a strategic group like this, Humap’s Matti Hirvanen explains. Honkanen praises Humap’s Pekka Pirhonen, who worked as a management group work and business development sparring partner for Turku Energia, for his input. An external partner gave the process added value. “Pekka didn’t offer us ready answers but challenged us in a great way regarding our operations and held the process together. The whole experience was downright excellent. Everyone got a lot of new ideas concerning their own operations. I guess the best indicator of our satisfaction is that we have already placed a new order. The cooperation continues, Honkanen sums up. According to Honkanen, the digital platform used for supporting the management group process was also an important factor in the success of the whole thing. The everyday life of the management group members is very busy, and we rarely have time to get together outside the meetings. The digital platform was handy and easy to use. We were able to collect all feedback, as well as other notes and comments, on the platform throughout the whole process.